A threat that was written said, “Shoot up February 14.” That is the fourth threat of a shooting at a Lee County school since this past Friday. The one-year anniversary of the shooting at Marjory Stoneman Douglas in Parkland is Feb. 14. 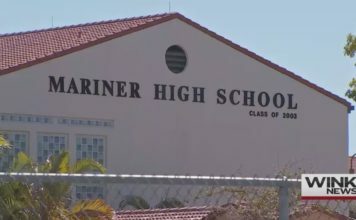 The threat was made at Mariner High School in Cape Coral Monday. Investigators said they don’t think the threat made has any credibility, but the person who wrote it could face charges. The threat remains unsolved. 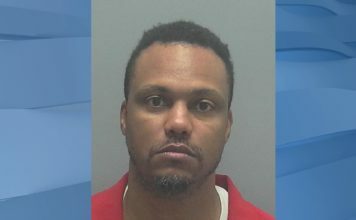 “If you threaten the lives of children and staff here in Lee County, you will suffer real consequences,” Sheriff Carmine Marceno said. Two children are facing felony charges Monday after Lee County Sheriff’s Office arrested them for threatening their schools — a 16-year-old girl at North Fort Myers High School and a 12-year-old boy at Oak Hammock Middle School in Fort Myers. 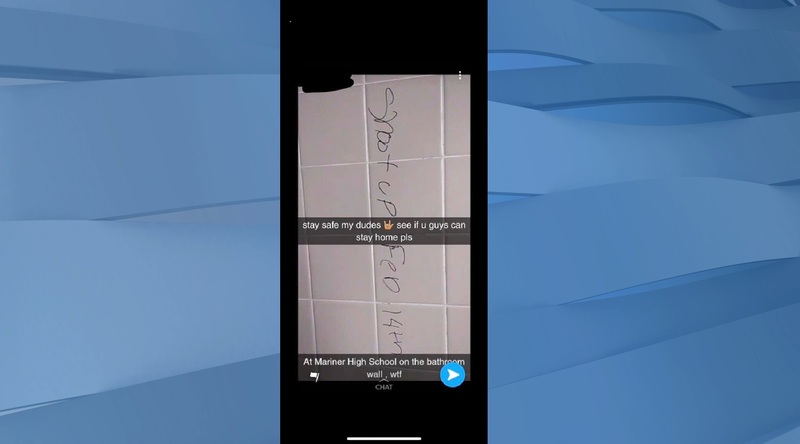 Threat made by a 16-year-old girl at North Fort Myers High School – Photo courtesy of Lee County Schools. WINK News spoke to several attorneys, and they said it is unlikely the two children arrested for separate threats will be tried as adults in court for the felony charges. However, the sheriff’s office and school district said they have zero-tolerance policies for these kinds of threats, and they will result in criminal charges. The message that promised a school shooting at Mariner was widely circulated on social media. Threat made to Mariner Midle School in Cape Coral – Photo courtesy of Lee County Schools. As the daily routines of thousands are interrupted, parents are split on where to go from here. Across Lee County school district, a chain reaction of threats has parents worried. “I think something more needs to be done about it,” Emily Gibson said. Two-thirds of the student body — 1,200 students — did not attend school. That left 600 students at North Fort Myers High School Monday. Gibson’s two sons were among those students who stayed home. The school district said attendance wasn’t affected at Oak Hammock because the threat was discovered and investigated on the same day it was made. “Our students know that if you make a threat against your fellow students, our employees, or our schools, that that type of action will not be tolerated,” Superintendent Gregory Adkins said. Estero High School discovered a threat of an attack on the school campus last Friday. 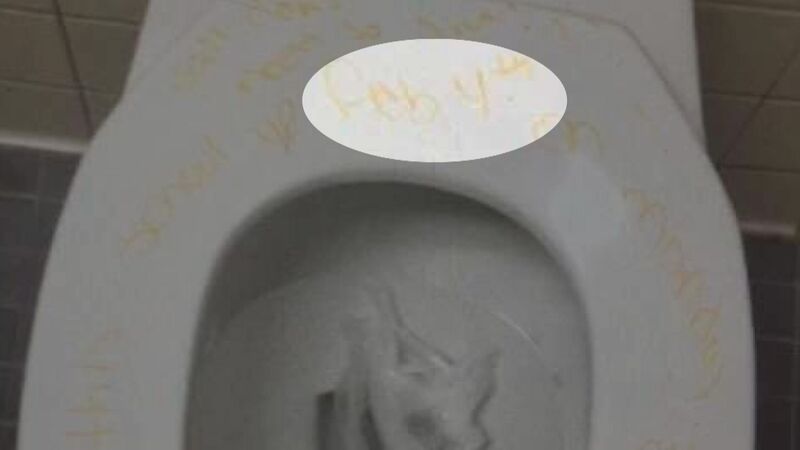 Nine-hundred students stayed home in response to a message also found in a school bathroom. The threat remains unsolved. Some parents said they are not letting these threats keep their kids out of school.